Definition: A form of alternative dispute resolution whereby the disputing parties appoint a neutral third party to facilitate talks to reach an agreement. 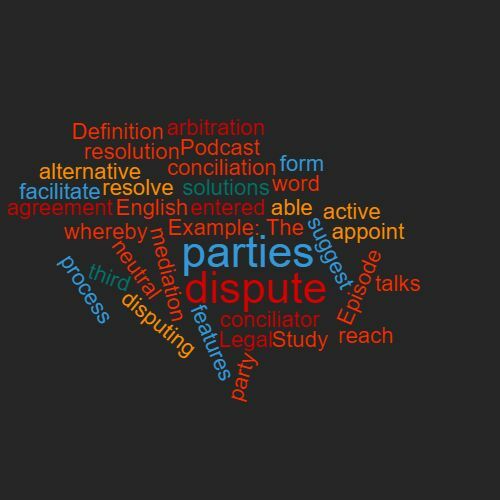 The process is more informal than arbitration, it is not adjudicative, and it is more active than mediation as the conciliator is able to suggest solutions. However, sometimes the difference between a conciliator and mediator is not so clear and the terms can be used interchangeably. Example: The parties entered into conciliation to resolve the dispute. This word features in Episode 60 of the Study Legal English Podcast.